Xeomin Injections – Are You a Candidate? First there was Botox, then there was Dysport, and now there is Xeomin (incobotulinumtoxinA). The Food and Drug Administration (FDA) recently approved this new botulinum toxin type A product to treat severe frown lines or "11's" between the eyebrows. Xeomin was already FDA approved for use in adults with cervical dystonia and blepharospasm. Cervical dystonia is characterized by abnormal neck pain and movements, and blepharospasm is marked by abnormal, involuntary blinking or spasm of the eyelids. Xeomin is manufactured by Merz Pharmaceuticals, and has been used by more than 84,000 people worldwide. It is now approved for use in 20 countries. Like other drugs in this category, Xeomin works by paralyzing wrinkles. It blocks the signals from the nerves to the muscles. As a result, the targeted muscle cannot contract. Botox, Dysport and Xeomin have a lot in common, but they also have some important differences. Unlike its predecessors, Xeomin does not need to be refrigerated. This may be an advantage when it comes to distribution. What's more, Xeomin is "naked." There are no additives — just botulinum toxin type A. This may lessen a patient's likelihood of developing antibodies to Xeomin. When your body senses a foreign invader, it responds by creating antibodies and launching an attack. If this were to occur with a neurotoxin such as botulinum toxin type A, it may not have its desired effects. Xeomin is said to be more like Botox than Dysport. It takes about one week for the full effects of Xeomin injections to be realized, and once this occurs the results last from three to six months. Dysport, Xeomin and Botox should not be used interchangeably. They should also only be administered by skilled injectors such as board-certified facial plastic surgeons in sterile environments such as medi-spas or doctors’ offices. Xeomin should not be injected in beauty salons, malls or at Xeomin parties in the home. If you are interested in Xeomin injections, consult with a facial plastic surgeon to explore your candidacy. 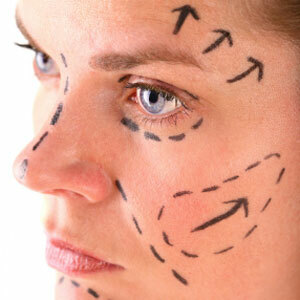 Be sure to choose a qualified surgeon with extensive experience providing various types of injectables. It can often be difficult to sort through all the hype to find a surgeon you can trust. To help in your search, All About Facial Rejuvenation has developed a directory of highly trained, reputable surgeons with years of experience performing a range of facial plastic surgery procedures. To find a surgeon near you, click here or on the right side of this page. 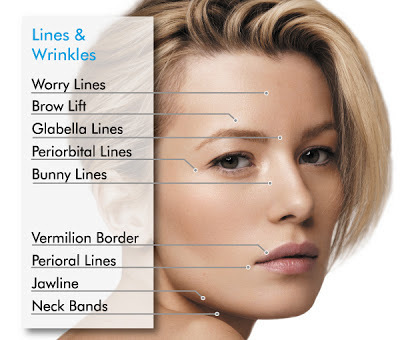 When we hear of the word Botox, many of us think of removing those nasty lines around our face. While this is certainly true, here are some other cosmetic uses that you may have never heard about. In case you are interested, we have also included a link for more information to read up on, or as always, please do not hesitate to contact us directly. Opening eyes - botox injections can be used to increase the eye aperture, making a patients eye seem larger to the naked eye. At Cosmos, we have found that this treatment is popular amongst people with an Asian heritage.